Tyvek® garments are composed of flash spun high density polyethylene which creates a unique, nonwoven material available only from DuPont. 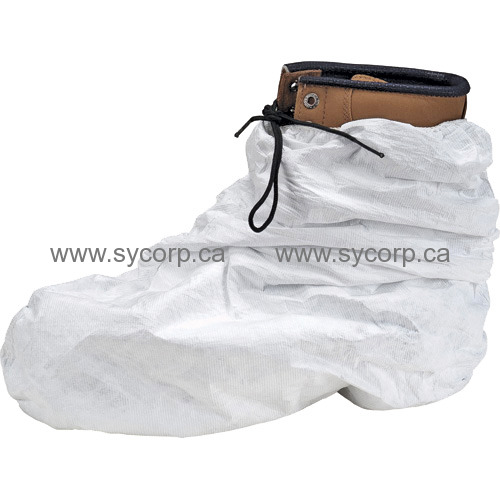 Tyvek® provides an ideal balance of protection, durability and comfort of any limited use fabric technology. Tyvek® fabric offers an inherent barrier to small size particles. Protection is built into the fabric itself; there are no films or laminates to abrade or wear away. Tyvek® fabric's durability advantage over microporous film fabrics delivers consistently better barrier, even after wear and abrasion. Applications include: lead and asbestos abatement/remedation, general maintenance/operations, spray painting, general clean-up.